Chinese Academy of Medical Sciences Peking Union Medical College TEDA International Cardiovascular Hospital (TICH)/Tianjin Medical University Cardiovascular Institute, invested by Tianjin Economic-technologic Development Area Government, is a public nonprofit, top-class, professional cardiovascular hospital opened since Sept. 26, 2003. The hospital specializes in cardiovascular open-heart surgery and interventional therapy to cure all types of congenital or acquired cardiovascular diseases. There are 500 beds, 16 operation rooms, 80 ICU beds, 5 catheter lab rooms (including a hybrid operation room) and 40 CCU beds at TICH. TICH is equipped with state-of-the-art equipment for diagnosis, treatment, and research, including PET/CT, “Diamond” CT, 64-slice CT, ECT, MRI, 3-D Echocardiography, MCG and high-power electronic microscope. It pioneers in the use of Automatic Tablet Counting and Packing machines in China which greatly improves efficiency and quality in the medication dispensing. The medical laboratory is equipped with an Automatic Clinical Laboratory System supported by Pre-Analytical Modular（PAM）for highly accurate diagnostic tests. The transferring system improves the efficiency of the delivery of documents and samples within the hospital. The advanced Picture Archiving and Commutation System (PACS) and Hospital Information System (HIS) make the hospital completely electronic and, significantly, literally paperless. 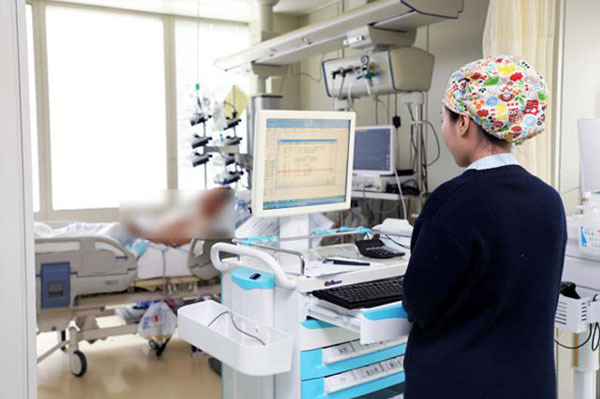 The departments of Cardiovascular Surgery, cardiology and nursing are entitled of national-level clinical specialties by the Ministry of Health of China. 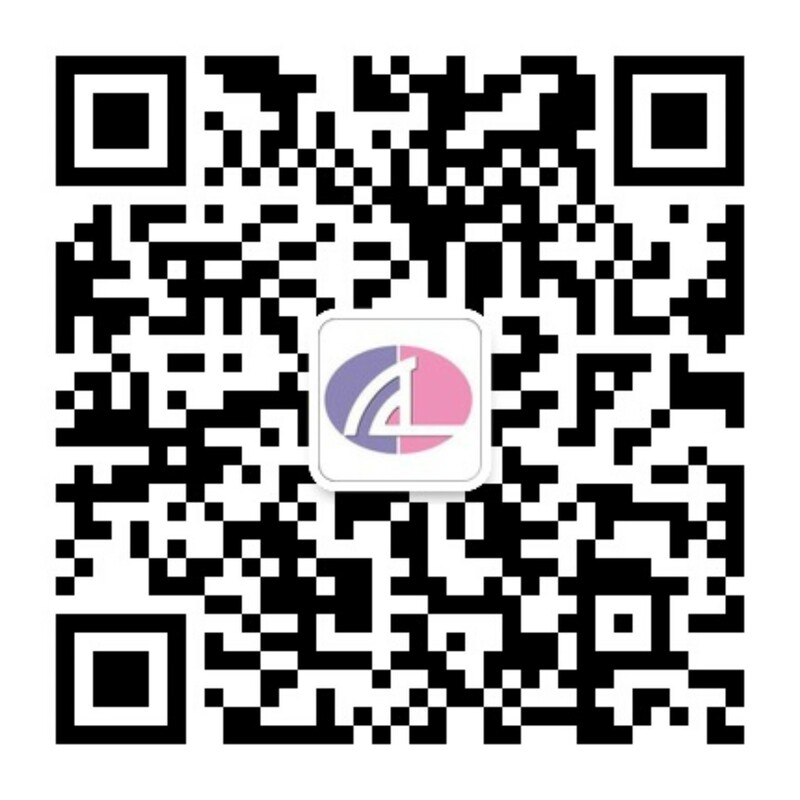 TICH is also one of National Coronary Disease Training Centers, National Arrhythmia Interventional Therapy Training Centers, National Residence Training Centers and China Chest Pain Centers. Internationally, TICH has been certified hospital accreditation and CCPC of AMI, HF and CABG by Joint Commission International (JCI). 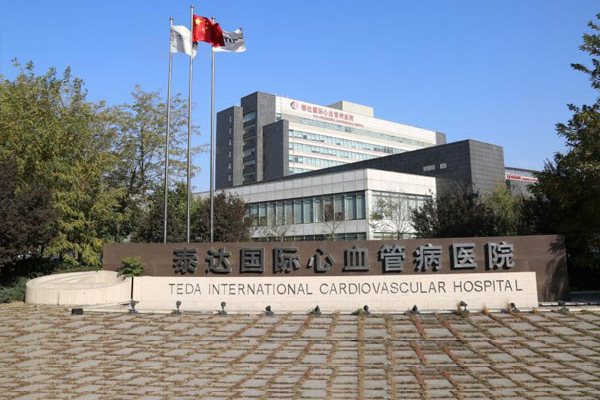 This international recognition makes it enjoy the first hospital in China to earn the international accreditation of cardiovascular disease treatment. Besides, the capability and facility of the hospital informatics infrastructure has reached HIMSS EMRAM 7. TICH is the only public hospital consistent with National Healthcare Reform Plan announced by the State of Council. Since the very beginning, TICH management has been separated from its ownership. While the TEDA Government owns the hospital, President Xiaocheng Liu is responsible for its general management. As the only public hospital without official ranking, TICH recruits its staffs by signing employment contracts rather than utilizing the lifelong tenure model as is used in other public hospitals. TICH assigns staff posts according to the efficiency and effectiveness of the resulting management rather than the traditional “Official and Title” approach to management systems. The innovative management system has brought vitality to TICH and made the hospital create a series of operating mechanism reflecting patient-oriented concepts, which has won not only patients’ satisfaction but also much more space and faster speed for sustainable development. 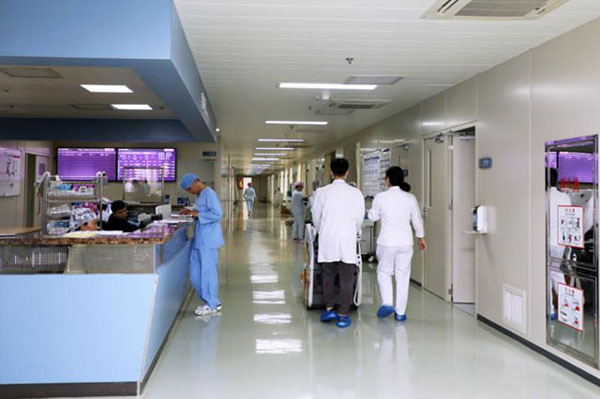 Over the past 15 years since its opening, TICH has performed cardiac surgery and interventional cardiovascular procedure for more than 100,000 patients from all over China and the foreign countries. On one hand, the hospital adhering to humanitarianism provides reasonable and quality medical service to the communities. In August 2004, TICH became the first hospital designated by the Ministry of Civil Affairs of China to carry out a charity program, namely “Tomorrow Plan”, to help treat the orphans suffering congenital heart diseases. Thereafter, through joint efforts with many charity organizations from both home and abroad, more than 12,000 orphan and underprivileged children, from 27 provinces, municipalities and autonomous regions, have gained their new lives in TICH. On the other hand, diversified niche service is offered to those in need, including some Hollywood movie star and foreign national leader. Congenital Heart Disease is NO. 1 killer to 0-5 group children in China. Together with Tianjin Women and Children Health Center, TICH launched the first congenital heart disease screening program in China in 2005. Up to date, there have been more than 1200,000 children screened in Tianjin and surprisingly 2.22% of them are positive. From 2010, hand in hand with China Mobile, TICH enlarged the congenital heart disease screening program to Inner Mongolia, Henan, Liaoning, Shanxi, Qinghai, Tibet, Guangxi, Jiangxi and Ningxia Provinces. Three JCI golden medals, cardiovascular surgery, cardiology and nursing on the list of national clinic specialties, Tianjin Science & Technology first prize, the long-term survival experiment animal implanted with the third generation LVAD…….a string of footprints has been deeply marked in the course of its non-stop innovation and progress.